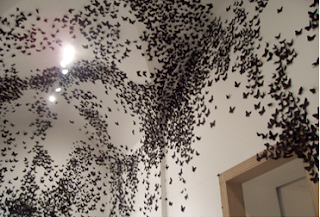 head over to fly and check out the rest of the images and post on the carlos armorales installation at the philidelphia museum of art. hey christine! just wanted to say i love your new blog header and that i added you to classic bride's blogroll! i'll also make a post soon about your fantastic stationary line. have a great day! 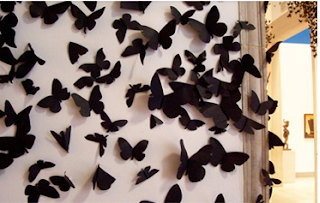 You've got a great skills to make this paper butterflies. They are so lovely.